I am having a bread love-fest at the moment - and want to share some lovely old classic recipes I have been stumbling on in the old bible (also known as Mum's recipe book!). For me there is nothing more gorgeous than a house filled with the wafting smell of bread and sitting down with a slab of butter and warm bread at the table!!! Yum! I hope you enjoy these bread recipes as much as I have been! 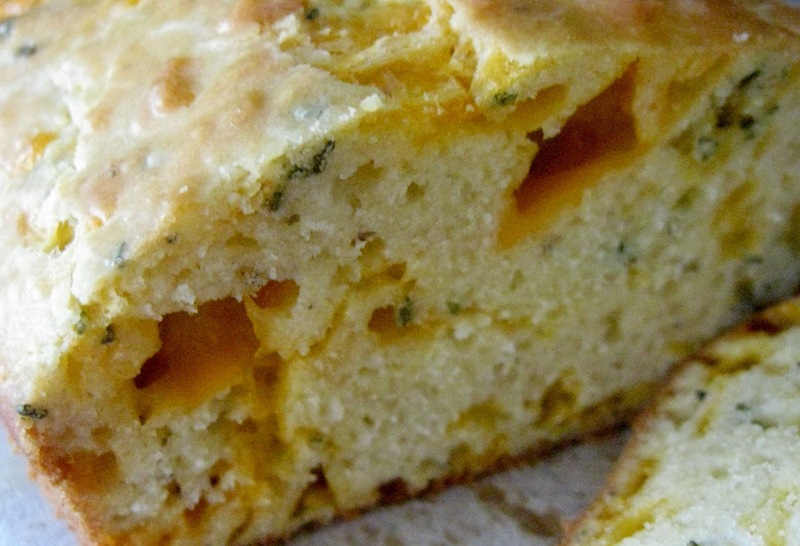 A classic - Herb and Cheese Bread. In a large bowl, dissolve yeast in 1/4 cup of the water. Combine salt and remaining water; stir in yeast. Stir in enough of the flour to make a stiff dough. Cover; leave to rest for 5 minutes. On a lightly floured surface, knead the dough until smooth and elastic, 8 to 10 minutes. Place in a greased bowl; cover and let rise in warm place until tripled in volume, about one hour should do it. Punch the dough down; let it rise again until doubled, about 45 minutes more. Turn dough out on to floured surface; sprinkle with cheese and herbs; knead just until it all comes together. Use 2/3 of the dough to shape and fill a greased loaf tin. Roll remaining dough into a french stick, 25 to 30 cm long; place on a baking tray sprinkled with flour. Cover loaves; let rise again until doubled, 45 to 60 mins. Brush loaf only with egg glaze. Bake together in a very hot oven (brush or spray the french stick lightly with water as it goes into the oven and then again after 2 minutes. Remove the french stick after about 20minutes or when done, reduce oven temperature to hot (180 degrees) Continue baking until loaf is cooked and browned, 5 to 10 minutes more. Cool on wire racks. Yum! Herb and Cheese goodness!